The electrical power is converted into mechanical power by means of the interaction of the electrical current and a magnetic field that is produced within the motor. Although either AC or DC must be used in most cases, there are some electrical motors, referred to as universal motors, that are capable of operating by means of either type of electrical current flow. Able to provide mechanical energy to a vast spectrum of equipment and components, electrical motors are essential parts in many applications and industries including: industrial manufacturing, for use in various machine tools for various processing and assembly applications; residential, in order to power diverse household appliances such as air conditioners, dishwashers, refrigerators and more; construction, for use in the powering of various electrical power tools and portable lighting; automotive, in order to power parts of various vehicles such as cars, vans and scooters; and electronics, for use in electrical devices including DVD powers, hard drives, CD players and more. Additional industries that utilize electrical motors include office equipment, military, aerospace and more. 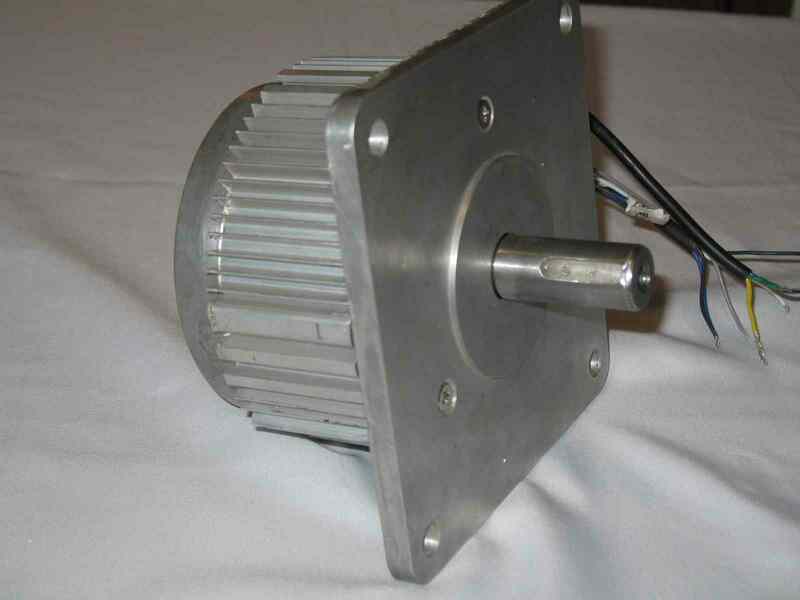 Electrical motors come in two main types of designs: brushed motors and brushless motors. A brushed motor operates based upon the actions of a wound rotor, a commutator (equipped with numerous brushes), and a wound or permanent magnet stator. The brushes on the commutator operate by allowing the current to flow through them and thus arrive at the wound rotor. Capable of operation without the use of brushes to transfer the electrical current, brushless electric motors consist of a permanent magnet external rotor, a three-phase coil, a type of sensor and drive electronics. Instead of brushes, brushless motors transfer the current by means of the sensors. In addition, electrical motors can be broken into four main types: servo motors, synchronous motors, induction motors and electrostatic motors, also known as capacitor motors. Servo motors operate based on a servomechanism that utilizes error-sensing feedback to function and make corrections. Synchronous motors are a type of AC motor that operate based on a rotating magnetic field that is the result of the motor’s rotor and current passing at the same rate. Induction motors operate by means of a voltage that is produced across a conductor, being the rotor, as it is moving through a magnetic field. Lastly, electrostatic motors operate based on the principle of the attraction and repulsion of an electric charge. Electrical Motors Electrical motors operate utilizing electrical current power (typically using alternating current (AC) but direct current (DC) can also be used) and converting that power from electrical into mechanical power.